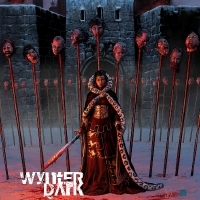 Epic PA Comic WYNTER DARK Finally Available! We've been writing about Wynter Dark for many, many years and while the truly epic post-apocalyptic adventure movie has yet to reach the silver screens (our fingers remain crossed) the first part of the comic book version is FINALLY available on ComiXology!! I had the pleasure of reading the film's screenplay which was, in retrospect is a lot like Game of Thrones set in the next ice age. The world is the grip of the next ice age brought on by the reversal of the Earth's magnetic poles - billions died, the survivors concentrated in the last great cities in an effort to rebuild the frozen world. Technology ceased to work with the pole reversal, the world having to rely on steam and animal power to carve out a new civilisation. But trouble is afoot, the Kingdom of New York is beset upon by the other Kingdoms that have forces advancing on the great walled city and unbeknownst to the New York King there are plans from within his own kingdom to bring his reign to a bloody and terrible end. It'll be up to an unlikely trio, a Banished Knight, a Woman Technocrat and a Wayward Teenager to thwart the forces that work to bring down the world's last great democracy but first they have to travel through the dangerous lands of the great expanse, brave the perils of NOMANS LAND and face off against the legions of the invading forces before facing the greatest danger of all, their own demons, in a quest to bring the world back from the brink and out of the cold into a brighter future.